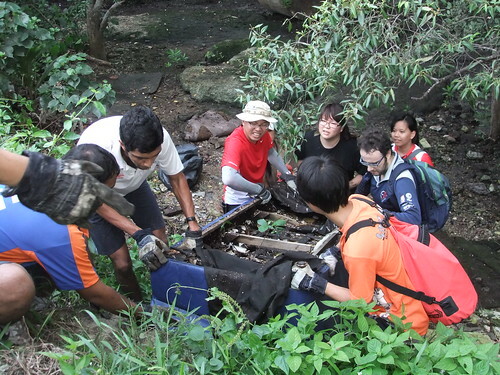 We are looking for volunteers to assist us in the NUS‒NParks Marine Debris Project, which involves establishing a national baseline data of marine debris for Singapore. 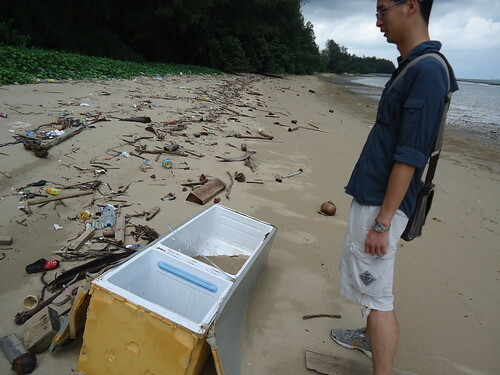 The role mainly involves testing data collection methods for marine debris from spot locations on several beaches on mainland Singapore. Able to commit on weekday mornings and available on the 4th week of July and the first and second weeks of August 2017. Passionate for the environment and issue of marine trash. To sign up for the volunteer opportunity, please fill up this form and we will contact you shortly. Over the Horizon is an installation work by the artist Wang Ruobing using plastic marine debris collected from Singapore shores at at Changi, Pasir Ris Parks, Kranji, Sungei Pandan, Seletar North Link, Lim Chu Kang and Pulau Ubin. “The most commonly used everyday material since the beginning of the 20th century, plastic is non-biodegradable and often ends up floating in the oceans for years before breaking down into environmentally-damaging microplastic. Over the Horizon is a site-specific installation dealing with plastic pollution. Made from plastic waste collected from Singapore’s coastlines, creating an elevated viewing platform on which audiences can observe kinetic plastic-waste waves, it explores this global issue, highlighting the interdependency of individual activities. 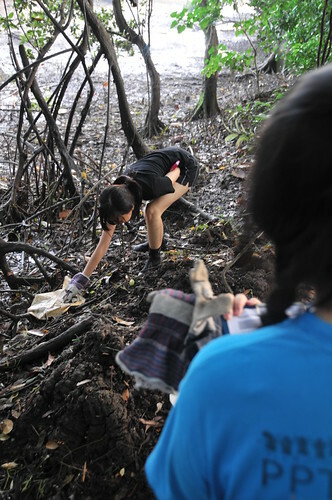 In June last year, we received Ruobing’s request and arranged for her to participate in the Youth Day cleanup at Sungei Pandan mangrove in July. 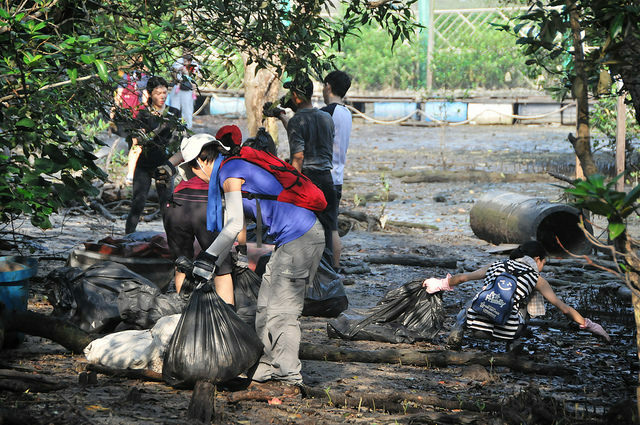 Some of the trash collected from this cleanup and other cleanups by passionate environmental groups in Singapore such as Sea Shepherds and the Nature Society (Singapore), were brought back by the artist, and given a second life in educating the public! 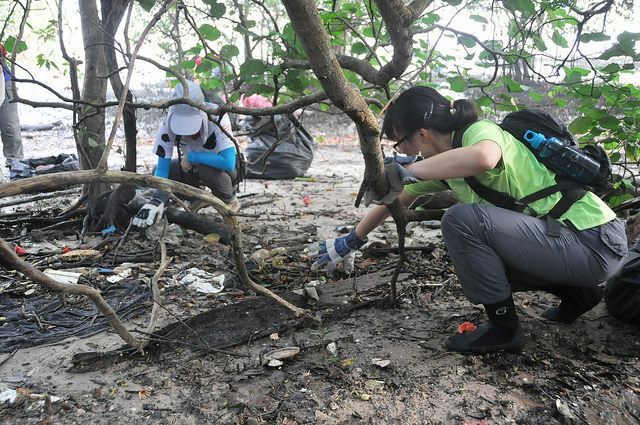 The volunteer coordinators of the International Coastal Cleanup in Singapore are searching for motivated individuals who would like to contribute to the betterment of the marine environment. 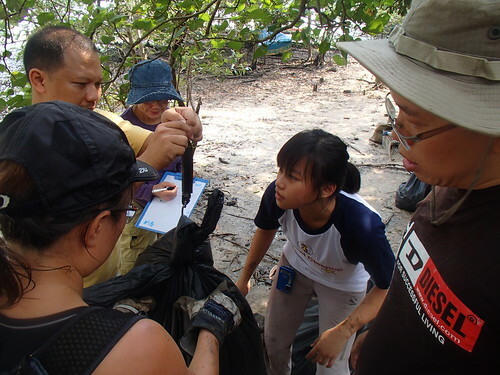 Volunteers will conduct evaluations of beaches and mangroves prior to cleanups, learn about marine life, liase with Organisers, help plan workshops, process data, conduct outreach activities as well as leading by example during beach and mangrove cleanups! We are looking for Zone Captains and Site Captains who are able to commit to our 2016 Calendar of events. Check the full calendar of dates. If you fit the bill and can make the dates, sign up to join the ICCS Otters and we will be in touch! 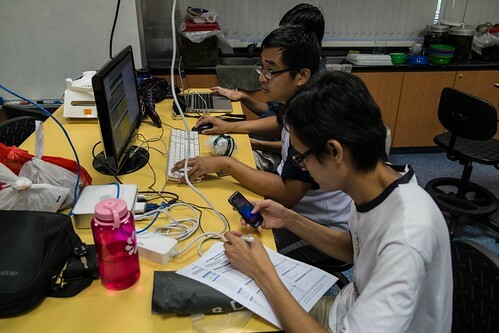 The first briefing session for new applicants will be on Fri 05 Feb 2016 in NUS at 7.00pm. There will be second briefing date in mid-February. 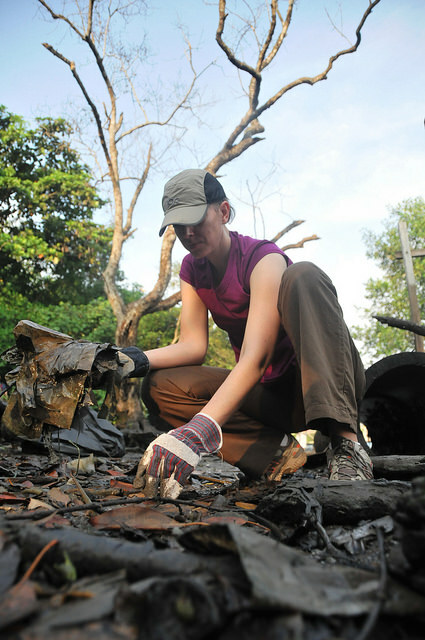 We are a dedicated team who have been coordinating the International Coastal Cleanup in Singapore for more than a decade. 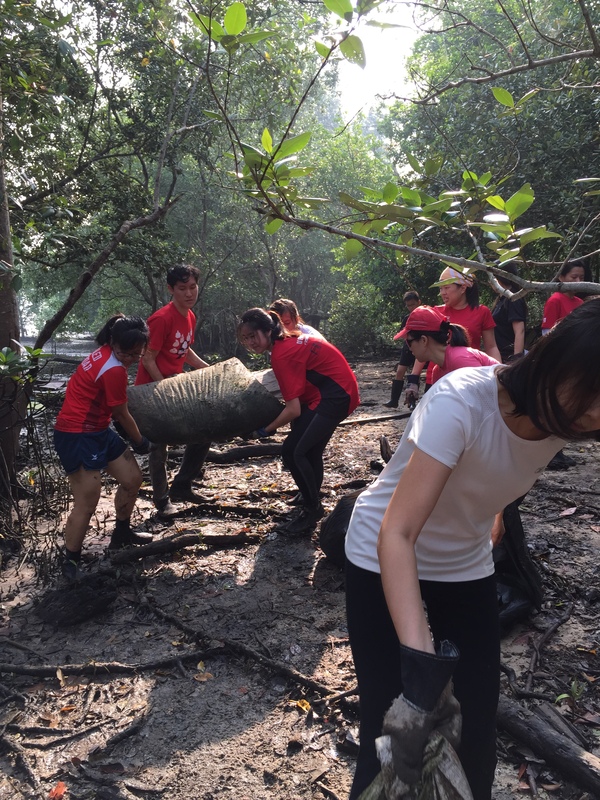 We work with Organisers from more than 60 organisations and institutions who lead some 4,000 volunteers to the beach and mangroves of Singapore in September, and with Organisers of Year-Round Coastal Cleanups. 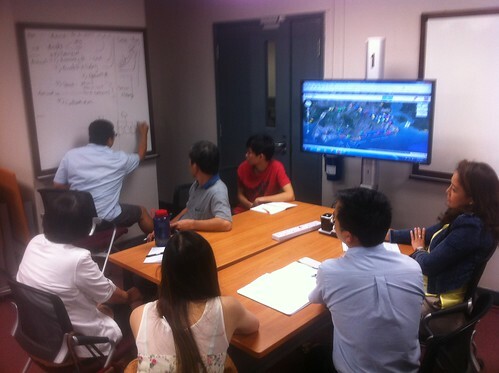 We keep meetings and emails to a minimum in order to sustain this effort alongside our regular jobs long-term. So to work with us, you need to be responsive and dedicated. If unfamiliar, you will be introduced to our use of digital tools and field-preparation. If you think this sounds like something you could do, we would be most happy to welcome you! Do sign up here by 12 Feb 2016! What do ICCS Zone Captains do? 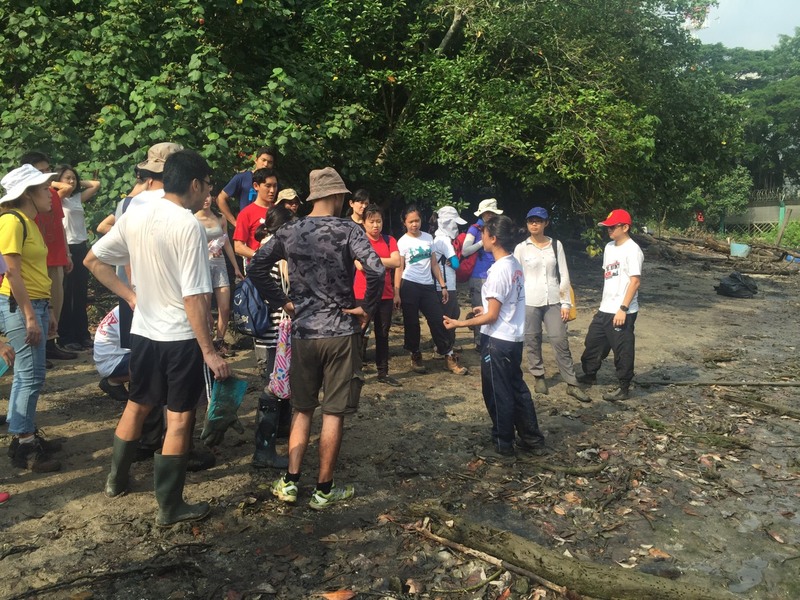 7 August 2015, Friday — It was the first day of the Jubilee Weekend, and ICCS was down at Lim Chu Kang Beach and Mangrove celebrating National Day in our usual fashion; with a coastal cleanup! 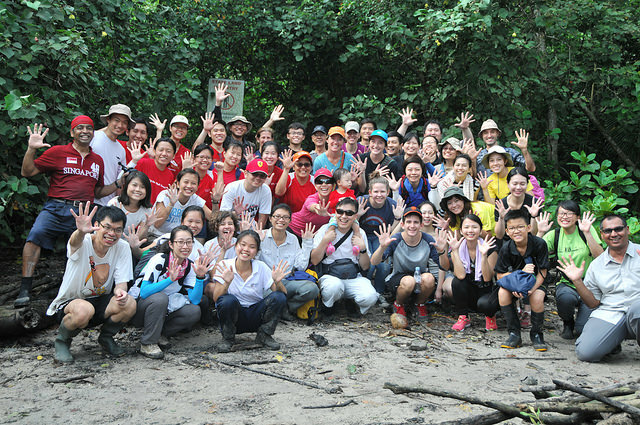 Altogether 48 volunteers showed our love for Singapore by removing 749kg of trash in 92 trash bags out of her Lim Chu Kang habitats. 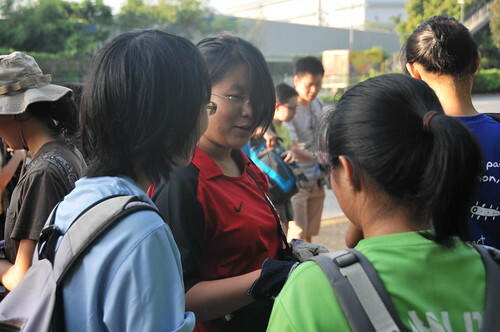 Northwest Zone Captain Adriane Lee and I arrived on site earlier with the logistics, and did a quick recce before the participants arrived. 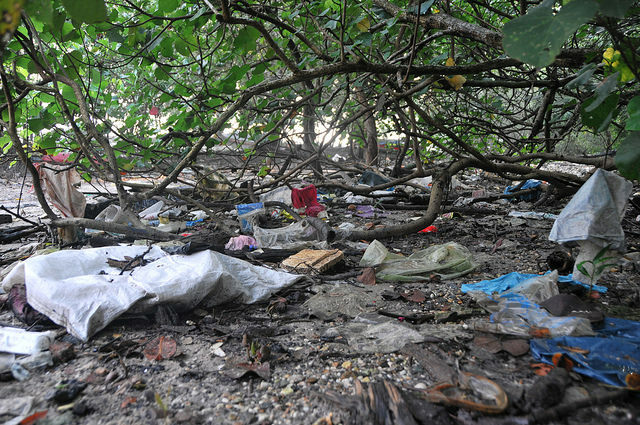 Trash was abundant on the coastline, with various types of plastics hanging from branches and strewn under the trees. 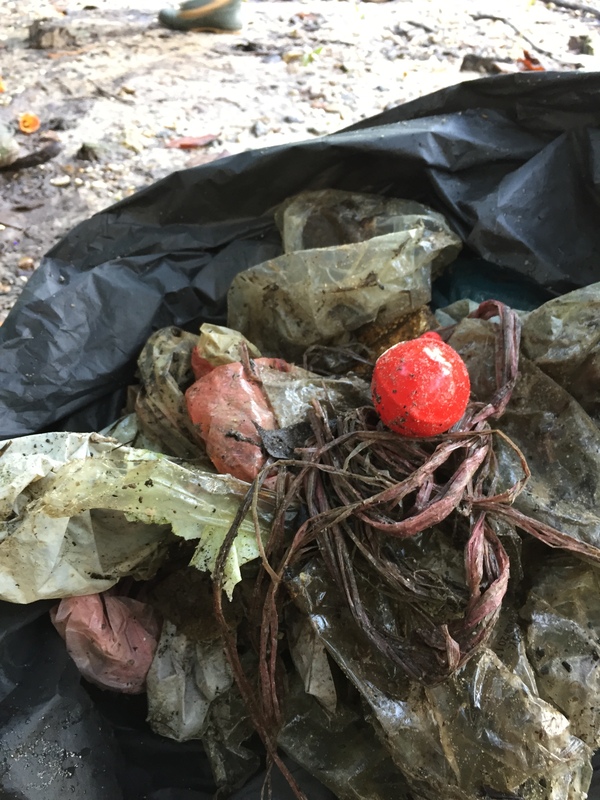 Left: Plastic bags, raffia string, and a deflated balloon trashed! Right: Plastic pieces strewn over the pencil roots of Avicennia sp. 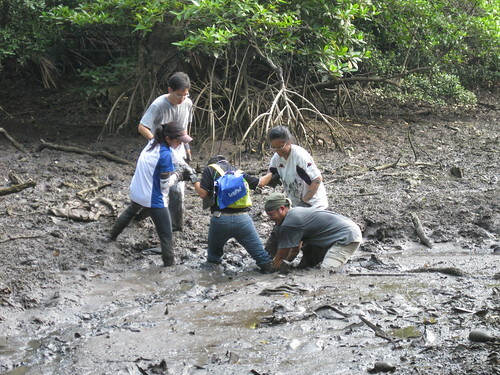 Our hearts were filled with accomplishment at the sight of a mangrove relieved of trash so early that morning. 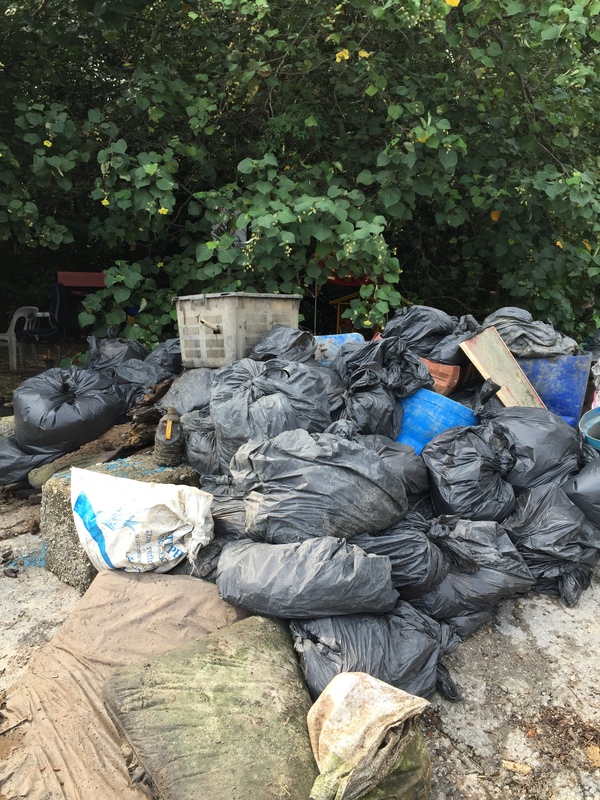 We transferred trash bags to three Trash Collection Points (TCP) for weighing and formed a chain to transfer the weighed bags to the Trash Disposal Point at the edge of the jetty. This prearranged point with NEA’s Department of Public Cleanliness would be where the contractor would collect later. Throughout the cleanup, we encountered mangrove horseshoe crab (Carcinoscorpius rotundicauda) moults and we used the specimens to introduce these amazing mangrove critters to the cleanup volunteers. 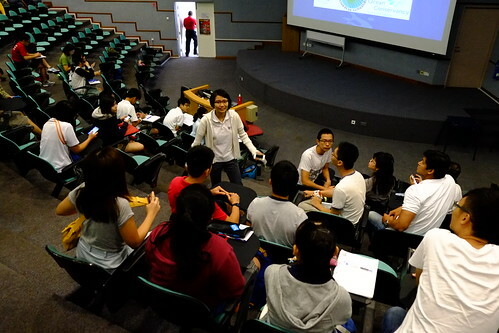 I also talked about other cleanup and guiding efforts conducted by NUS Toddycats. 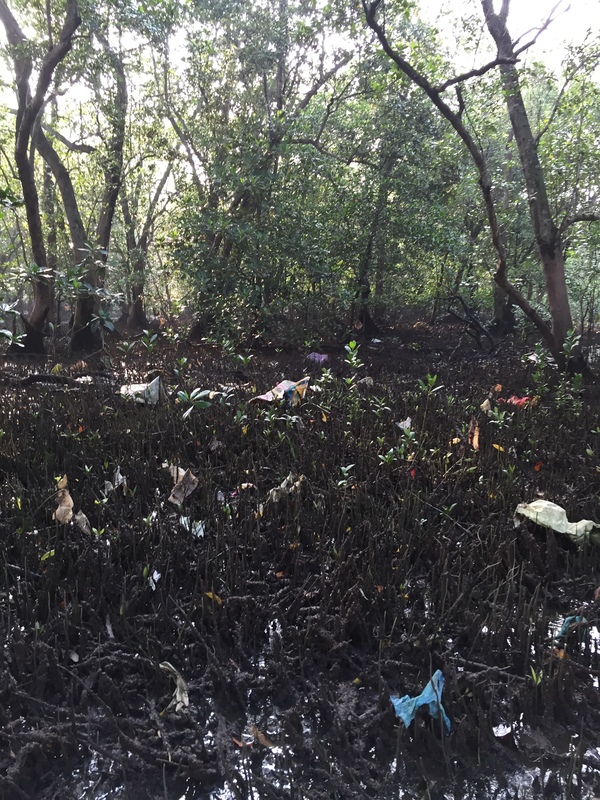 ICCS Coordinator Sivasothi aka Otterman rounded up the session with the conservation and research history of this site, the importance our remaining mangrove patches and the value of the morning’s effort at relieving the site of impactful trash. Left: Talking about mangrove horseshoe crabs (Carcinoscorpius rotundicauda) using moults we found. 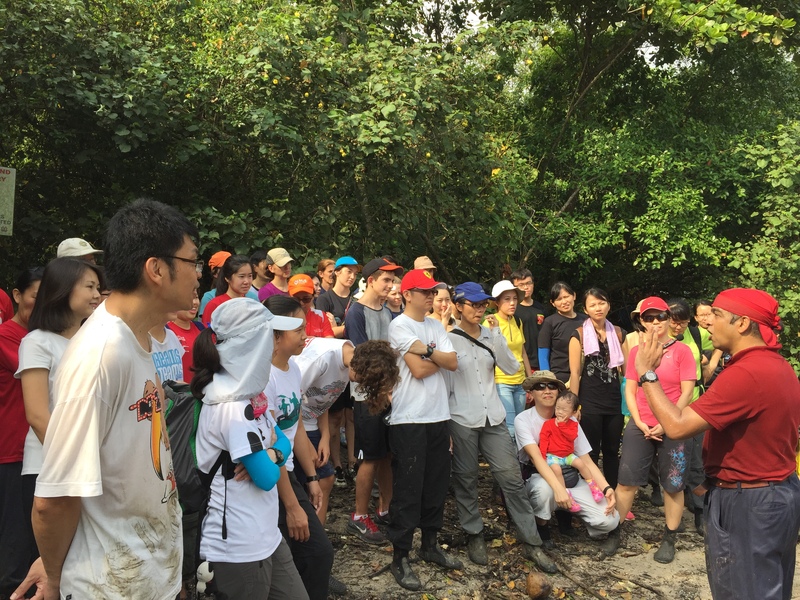 Right: Cleanup volunteers listening intently to Sivasothi’s stories about Mandai and Lim Chu Kang mangroves in the 80’s and 90’s and how as an NUS undergraduate in the 80’s, he was was dismayed by the phenomenal amount of pollution there. Otterman’s large Singapore Flag had disappeared this year – so the red and white shirted participants arranged themselves into a flag! Do you see the flag? 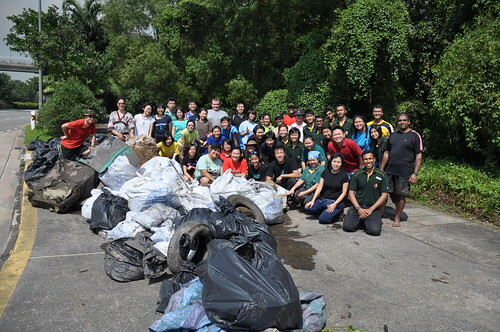 Thank you to everyone for a sensitive and effective cleanup at Lim Chu Kang, and I couldn’t think of a better way to celebrate our nation’s 50th birthday! 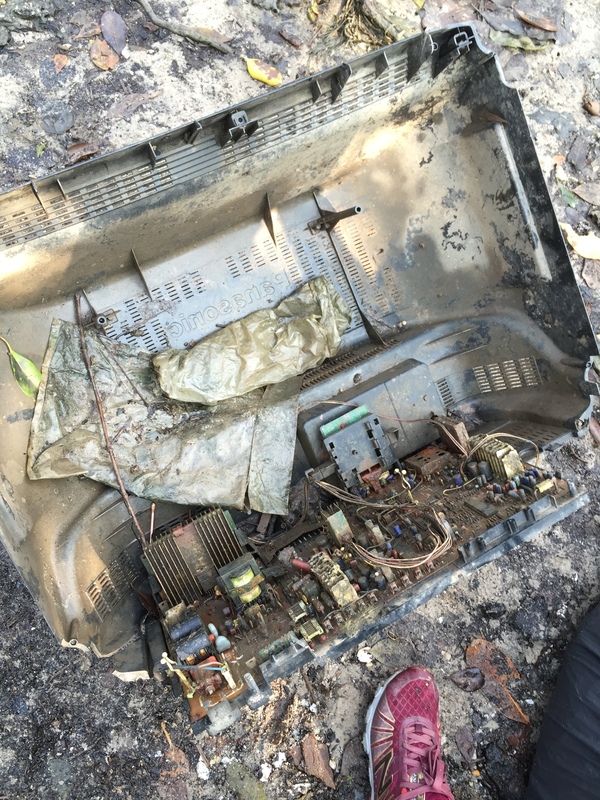 25 July 2015 (Saturday) – Our Zone Captains have been receding high difficulty sites with Organisers. 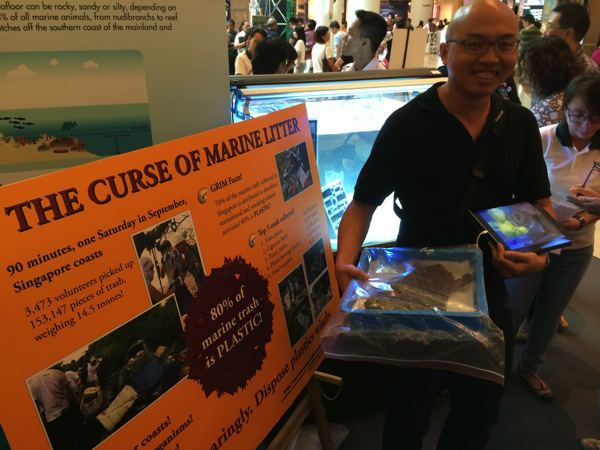 ICCS @ Festival of Biodiversity and Ubin Day 2015: Calling for volunteers to spread the message of marine trash! 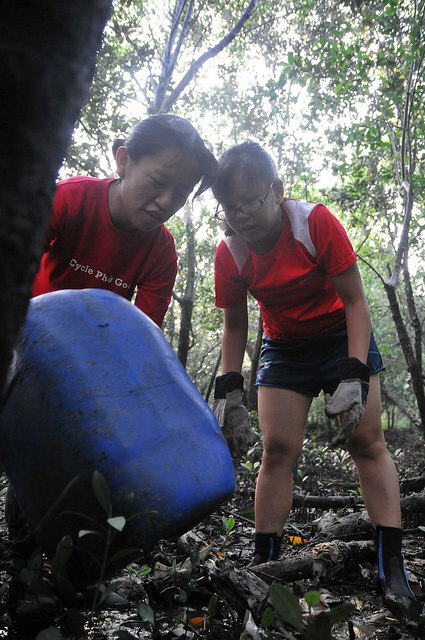 Festival of Biodiversity and Ubin Day are events held to celebrate Singapore’s native flora and fauna. 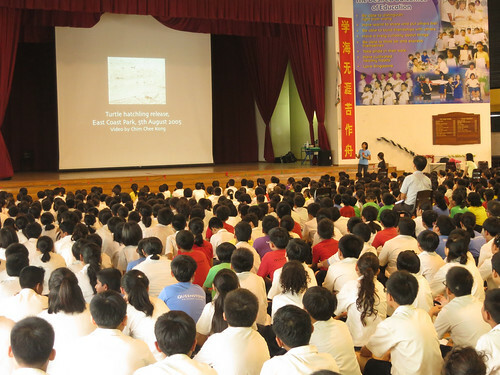 By reaching out to members of the public, they aim to raise awareness of our diverse natural environment in Singapore. This year, ICCS will be having a booth at the both events, and we are calling out to passionate volunteers who wish to share about marine biodiversity, as well as spread the message of marine trash! Marine Life in Singapore What are some examples of marine life in Singapore, and where can we find them? What can we do about this? What are simple solutions, or small changes we can make in our daily lifestyles in the course of sustainability? About ICCS and our coastal cleanups How you can go about joining us and what are our various social media platforms? We will be having specimens of local marine life, posters, and interactive activities, and we are in need of passionate volunteers to contribute ideas, man the booth, and raise awareness on the impact of marine trash. There will be a workshop on the 20th of June that will familiarise you with the needed knowledge and skill-set to reach out to a larger audience. 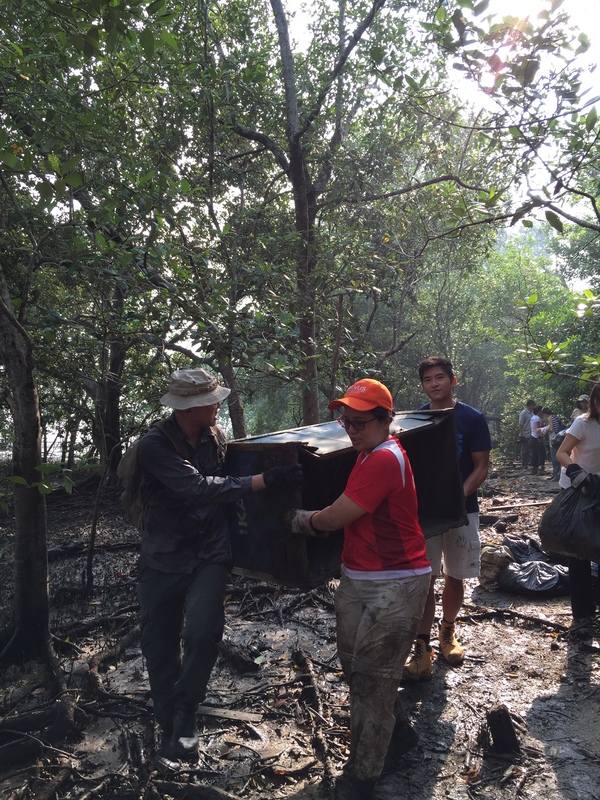 Ubin Day, check out this blog post for more information and sign up by the 27th of May. Festival of Biodiversity, sign up here by the 12th of June. We look forward to meeting our education team!